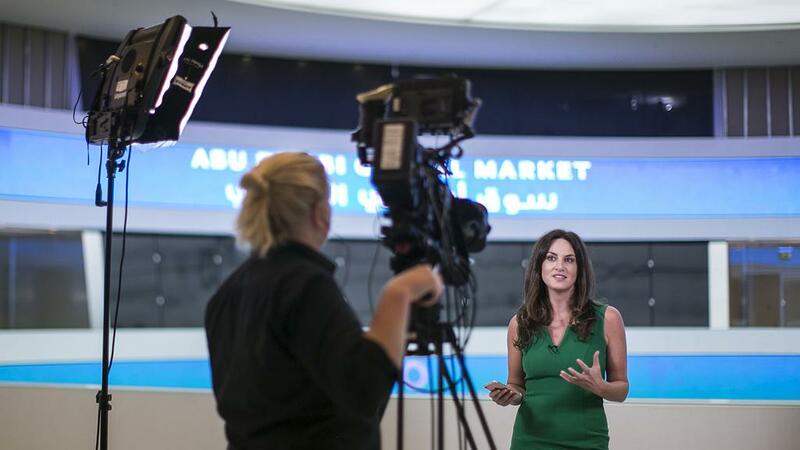 US business news TV and internet channel CNBC started Tuesday broadcasting across the Middle East after it inaugurated Tuesday its new studio in Abu Dhabi. The new facility will function as the channel’s Headquarters in the Middle East. “CNBC broadcasts daily from the network’s international headquarters in New York, London and Singapore,” said John Casey, CNBC’s senior vice-president of international news and programming. For its first week, the channel will broadcast from Monday through Thursday and will provide business stories and regional news from Asia, Europe and the US. Hadley Gamble, the channels Middle East anchor hosted the first show, “Capital Connection” with the Singapore studio anchor Nancy Hungerford. The new studios are located in Global Market (ADGM) of the Emirati capital. Written by: KanelkaTagba on April 18, 2018. Posted by KanelkaTagba on Apr 18 2018. Filed under Gulf News, Headlines. You can follow any responses to this entry through the RSS 2.0. Both comments and pings are currently closed.